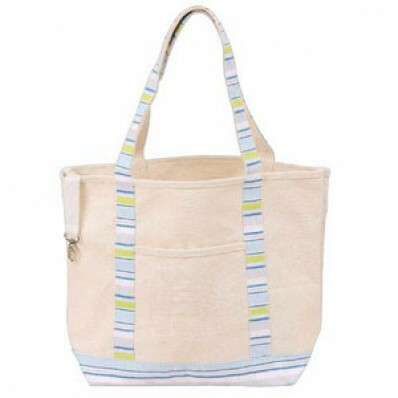 Eco-Friendly Heavy Duty Cotton Canvas. Colorful striped handles and base. Attached strap with hook for keys. 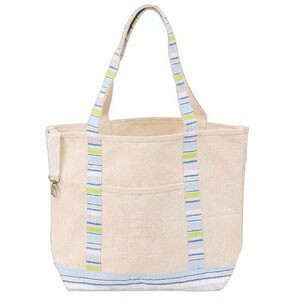 Environmentally friendly cotton canvas makes this sturdy bag great for a trip to the farmer’s market or grocery store. Colorful accents and handles add personality, and a snap hook keeps your keys close at hand.